American Bar Association Human Rights Award jointly by LRWC, Lawyers for Lawyers, Union Internationale des Avocats and the Law Society of England and Wales. In accordance with the request of the American Bar Association (ABA) for nominees for the 2019 ABA International Human Rights Award, the following organizations —Lawyers’ Rights Watch Canada (LRWC), Lawyers for Lawyers (L4L), the Law Society of England and Wales (LSEW) and the Union Internationale des Avocats (UIA) —recommend and nominate human rights lawyer Waleed Abu al-Khair of Saudi Arabia for the 2019 ABA International Human Rights Award. Waleed Abu al-Khair is one of the best-known advocates for democratic and human rights reform in Saudi Arabia. He has used the written and spoken word coupled with his legal knowledge to fearlessly advocate for reforms to improve the lives of all in Saudi Arabia by calling on the Government of Saudi Arabia to allow its citizens to enjoy internationally protected rights to freedom of expression, association, assembly and the right to participate directly and indirectly in public affairs. He has done this work through writing and public speaking, by representing causes and clients unpopular with the Government of Saudi Arabia, by providing a safe space for peaceful discussion of issues of public concern and by providing people with an example of responsible advocacy for justice for all. At the risk of his own personal and professional safety and security, Waleed Abu al-Khair persisted in using his training and skills as a lawyer to be an outspoken advocate for an elected parliament, an independent judiciary, a constitutional monarchy and recognition of internationally protected human rights. He has also advocated on behalf of prisoners of conscience and written many articles identifying human rights abuses and the need for legal reform. He recommended reliance on the rule of law and proper legal procedures to effect reform and settle disputes and differences of opinion and never advocated or used violence as a means of opposition. Details of Waleed Abu al-Khair’soutstanding contributions to the promotion, protection and advancement of the human rights of all people in Saudi Arabia and their right to live in a fair and just society under the rule of law are provided in the curriculum vitae enclosed. The Kingdom of Saudi Arabia (Saudi Arabia) responded to this peaceful human rights advocacy on 1 April 2012 by banning him from traveling outside Saudi Arabia. In 2013, he was charged with a variety of vague and broadly worded offenses aiming at sanctioning his advocacy for recognition of human and democratic rights. When these fabricated offenses resulted in a sentence of “only” three months, the Government of Saudi Arabia re-charged him with further offenses of similar nature, which resulted in a prison sentence of 15 years. On 15 April 2014, the Nominee was arrested while appearing at the fifth session of his trial before the Specialized Criminal Court in Riyadh. On 28 May 2014, at the seventh session, Judge Yousef Al-Ghamdistated that the Petitioner was charged under the Penal Law for Crimes of Terrorism and its Financing, Royal Decree No. 44 (12/2013). On 26 June 2014, during the eighth session of the trial before the same court, the Nominee stated that he would not attempt to further defend or respond to the charges and accusations, citing persistent refusal by the prosecution and court to properly consider the defenses raised. “preparing, storing and sending what would prejudice public order”. The trumped-up charges all arose from the Nominee’s engagement in peaceful activities associated with his work as a lawyer and a human rights defender. His activities are protected by the Universal Declaration of Human Rightsand many other instruments, including the 1998 United Nations Declaration on Human Rights Defenders, the Basic Principles on the Role of Lawyers and the International Covenant on Civil and Political Rights. The UN Working Group on Arbitrary Detention (WGAD) has twice reviewed the legitimacy of Saudi Arabia’s detention of Waleed Abu al-Khair: following his arrest (Opinion No. 38/2015, 26 October 2015) and following his conviction and sentencing (Opinion No. 10/2018, 4 July 2018). The 2015 Opinion,  determined that the detention of Waleed Abu al-Khair is arbitrary, being in contravention of the Universal Declaration of Human Rights(UDHR) Articles 9 (freedom from arbitrary arrest and detention), 10 (fair trial rights), 19 (freedom of expression) and 20 (freedoms of assembly and association). The WGAD concluded that Waleed Abu al-Khair was imprisoned “solely for exercising … rights to freedom of expression, peaceful assembly and freedom of association” and that his deprivation of liberty resulted from grave and systematic violations of fair trial rights. The WGAD specifically identified violations of Waleed Abu al-Khair’s right to a fair and public hearing by an impartial, independent and competent tribunal and to have criminal offences against him be defined with sufficient precision to allow for an adequate defense.In the 2018 Opinion,the WGAD determined  that the arrest, prosecution, conviction and sentencing of Waleed Abu al-Khair lacked any legal basis and were directed at restricting his freedoms of opinion and expression where there were not legitimate grounds to do so. The WGAD concluded that the prosecution, conviction and sentencing also violated the autrefois convict rule, that the prosecution was discriminatory and that the Specialized Criminal Court lacked independence. The WGAD recommended immediate release and compensation, after finding that Saudi Arabia’s detention of Waleed Abu al-Khair violated the UDHR guarantees of rights in Articles: 2 (to non-discrimination); 3 (to liberty); 6 (to recognition by law as a person); 7 (to equality before and the equal protection of the law); 8 (to effective remedies); 9 (to freedom from arbitrary arrest and detention); 10 (to an independent and impartial tribunal to determine right and criminal charges); 11 (to presumption of innocence and freedom from ex post facto prosecutions); 12 (to freedom from arbitrary interference with privacy); 13 (to freedom of movement); 19 ( to freedom of opinion and expression); 20 (to freedom of peaceful assembly and association), and 25(to well-being and medical case). Saudi Arabia has yet to comply with these recommendations. Waleed Abu al-Khair has vigorously advocated for the recognition of human rights and democratic reform in Saudi Arabia. Through personal endeavour, he has made an outstanding contribution to protecting the rights of individual clients, to advocating for legal reforms to ensure the implementation and enforcement of internationally protected rights within Saudi Arabia and for the advancement of democratic reform.He has done so in an environment where such advocacy is dangerous due to undemocratic state rule, uncodified laws and the absence of access to a “competent, independent and impartial tribunal” to determine criminal charges and rights and provide remedies for violations. His contribution to the recognition of human rights, democratic reform and an independent judiciary has led to his own prosecution and imprisonment. Accordingly, he experienced first-hand the full destructive power of a failed legal system that offers no protection against the arbitrary use of power by the state, no protections for basic human rights and no remedies for violations. In violation of international standards on conditions of detention, authorities have denied him all visits and communications with family members, lawyers, friends and colleagues, as well as restricting “no-contact” visits with his daughter, sister and mother. During such visits, the parties are separated by sound proof glass and speak through telephones. His sister and mother could bring his daughter (born June 2014) for more no-contact visits, but they choose not to because of invasive and humiliating searches conducted by prison authorities, which sometimes include a search of their underwear. Between the dates of transfer to the maximum security Dhahban prison in December 2015 and June 2016, Mr. Abu al-Khair was not allowed any visits. During 2017, prison authorities allowed him one 20-minute no-contact visit per month with either Mr. Abu al-Khair’s mother or sister and daughter. He was also had one 30-minute contact visit with his daughter. The Nominators do not know what visits he has been allowed during 2018 and 2019. His ex-wife, a human right defender  and a passionate advocate for his release has been arrested and detained twice since his incarceration. On 12 January 2016, Ms. Badawi and her daughter were arrested and taken to the police station in Jeddah where Ms Badawi was interrogated and then transferred to Dhaban prison. Her infant daughter was taken away from her at some point and turned over to a relative. Ms. Badawi was released the next day. Reports indicate that she was likely questioned about a Twitter account in the name of Waleed Abu al-Khair that had published photos of Waleed Abu al-Khair and two other wrongly imprisoned human rights defenders. Samar Badawi was again arrested by Saudi security forces on 28 or 29 July 2018 at approximately 1:00 am, apparently on an order from Crown Prince Mohammed bin Salman. Ms Badawi remains imprisoned. Some prisoners are allowed 24 hour visits outside the prison, but Mr. Abu al-Khair is not. He applied in September 2017 for permission to visit his father who is ill and cannot visit him in prison, but as of November 2017 he had not received a reply.On 8 March 2016, Mr. Abu al-Khairwas physically assaulted by a prison official allegedly because he had objected to the beating of a fellow prisoner, who was experiencing racist treatment due to his Ethiopian heritage. In addition, Mr. Abu al-Khair has type 2 diabetes and a chronic colon condition, both of which require a special diet and adequate medical care to prevent a worsening of these medical conditions.He has been denied access to the special foods he requires and,as a consequence, has lost approximately 20 kg.He is housed separately from all other prisoners of conscience.On 7 June 2016, Waleed Abu al-Khair commenced a hunger strike to protest against his ill-treatment. He ended his hunger strike on 12 June 2016 when prison authorities promised a medical examination, daily visits to the prison library, and permission to receive books. On three occasions, Waleed Abu al-Khair has been brought before officials from the Ministry of the Interior and has been pressured to confess to wrongdoing by signing a formal apology and pledge to remain silent in the future. The officials threatened that if he signs a prepared apology and pledge to remain silent, he will be released and if he does not sign, he will remain in prison for a long time. To date, Waleed Abu al-Khair has refused these demands, which has allegedly angered officials. The Nominee is an example for other advocates of human rights all over the world and is a source of inspiration to persevere in the pursuit of equal rights for all, especially with regard to the right to live in a fair and just society under the rule of law. 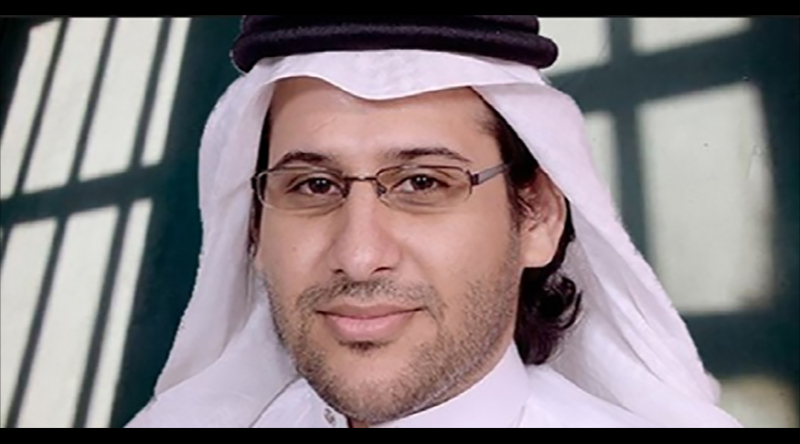 The nominators are therefore most proud to recommend Waleed Abu al-Khair as the recipient of the 2019 ABA International Human Rights Award in recognition of his extraordinary and selfless advocacy to promote, protect and advance human and democracy rights for all in Saudi Arabia.We refer the ABA to his curriculum vitae for a list of his work and contribution to the human rights situation for all people in Saudi Arabia. Lawyers’ Rights Watch Canada (LRWC)is a committee of lawyers and others who promote human rights and the rule of law internationally by: protecting advocacy rights; campaigning for jurists in danger because of their human rights advocacy; engaging in research and education; and working in cooperation with other human rights organizations. LRWC has Special Consultative status with the Economic and Social Council of the United Nations. Lawyers for Lawyers(L4L)is an independent, non-political and not-for-profit lawyers’ organization established in 1986. Our mission is to promote the independent functioning of lawyers and the legal profession across the world in accordance with internationally recognized laws and standards. Our work to support lawyers who are at risk as a result of discharging their professional duties, seeks to protect them from threats, risks and reprisals, strengthen their international recognition and protection in laws, policies and practices, and empower them to fulfil their role in the protection of the rule of law and human rights. Lawyers for Lawyers was granted special consultative status with the UN Economic and Social Council in July 2013. The Law Society of England and Wales is the professional body representing more than 180,000 solicitors in England and Wales. Its concerns include the independence of the legal profession, the rule of law and human rights throughout the world. The Law Society has Special Consultative Status with the Economic and Social Council of the United Nations since 2014. UIA is the global and multi-cultural organisation for the legal profession, established in 1927 and now with members in 110 countries, which provides professional development, learning, promotes the rule of law, defends the independence and freedom of lawyers worldwide, and emphasizes friendship, collegiality and networking among members. Olof Palmes Minnesfond, 2012, online: <http://www.palmefonden.se/2012-radhia-nasraoui-och-waleed-samiabu-alkhair-2/>. UN Human Rights Coucil, Opinions adopted by the Working Group on Arbitrary Detention at its seventy-third session, 31 August-4 September 2015, No. 38/2015 (Saudi Arabia), Advance Unedited Version, A/HRC/WGAD/2015, 26 October 2015. UN Human Rights Council, Opinions adopted by the Working Group on Arbitrary Detention at its 81st session, 17-26 April 2018, No. 10/2018 concerning Waleed Abulkhair, A/HRC/WGAD/2018/10, 4 July 2018 at para. The XXth “Ludovic-Trarieux” Human Rights International Prize 2015, online: <http://www.ludovictrarieux.org/uk-page3.callplt2015.htm>. The WGAD October 2015 Opinion concluded that the detention of all three laureates, Waleed Abu al-Khair, Mohammed al-Qahtani and Abdullah al-Hamid was arbitrary and recommended immediate release. The pledge reportedly requires the prisoner to apologize and express regret for statements and actions, to admit to being foolish and accepting from outside Saudi Arabia, ideas against Islam and the royal family and to promise to reject such ideas, be loyal to the royal family and not to communicate with the media. See In the matter of Waleed Abulkhair v. The Kingdom of Saudi Arabia, Petition to the UN Working Group on Arbitrary Detention, April 2015, p. 9 para. V.1.c, Improper Purpose, and Appendix I, Petitioner’s Statement to the Specialized Criminal Court, 28 May, para. 3.